All attempts by Capt. Bucher to upgrade the assessment to hazardous were - denied. 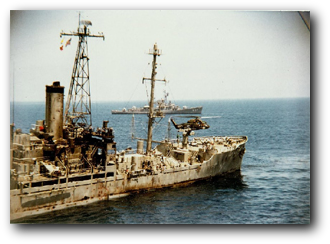 Like USS LIBERTY AGTR-5, USS PUEBLO operated under the assumption that help would be provided if needed. 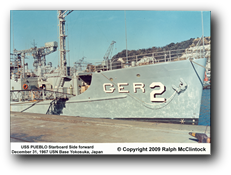 US 7th Fleet, US Forces Korea and US 5th Air Force headquaters, Fuchu, Japan, among others were informed of PUEBLO’s mission. Because of that minimal risk assessment, the US Navy made no specific requests for support. 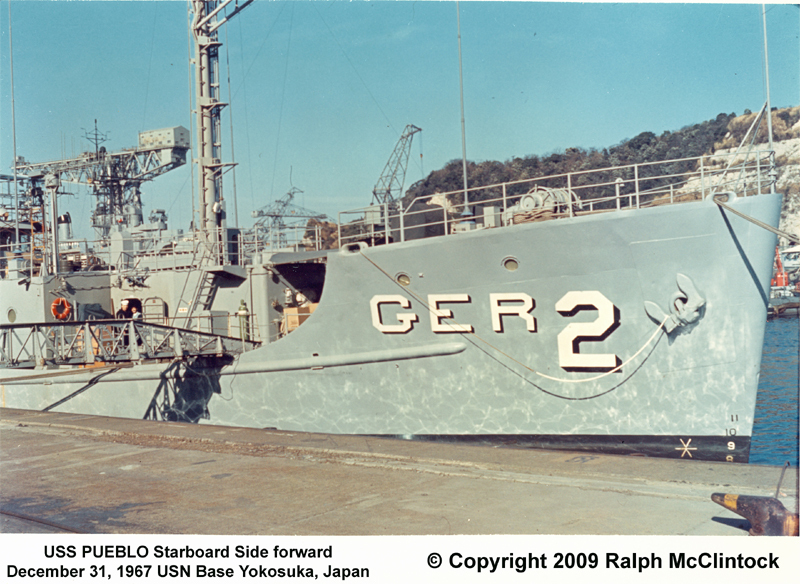 The tasking for similar USS BANNER missions had also been rated minimal, but fighter aircraft were made available on a strip alert status and two US Navy destroyers maintained station within 50 miles of BANNER on some missions. When 5th Air Force Japan personnel questioned the lack of a request for strip alert status for PUEBLO’s mission, they were verbally informed by Commander Naval Forces Japan headquarters that it would not be needed. 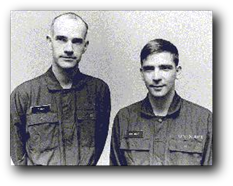 In addition to the lack of ready protection, the US Navy maintained the same communications procedures and methods for the PUEBLO mission as LIBERTY had operated under during her fateful mission of June 1967. The ships's inability to establish reliable communications with a higher command authority would be a repeat of the problems that contributed to the lack of help for LIBERTY. Unfortunately, it appears nothing was learned from the LIBERTY incident. 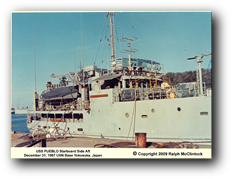 PUEBLO sailed from Yokosuka Japan on the cold gray morning of January 5, 1968. Her destination, US Naval Station Sasebo in southern Japan. A simple two day transit for a replenishment & final outfitting before the beginning of her mission off the North Korean coast. 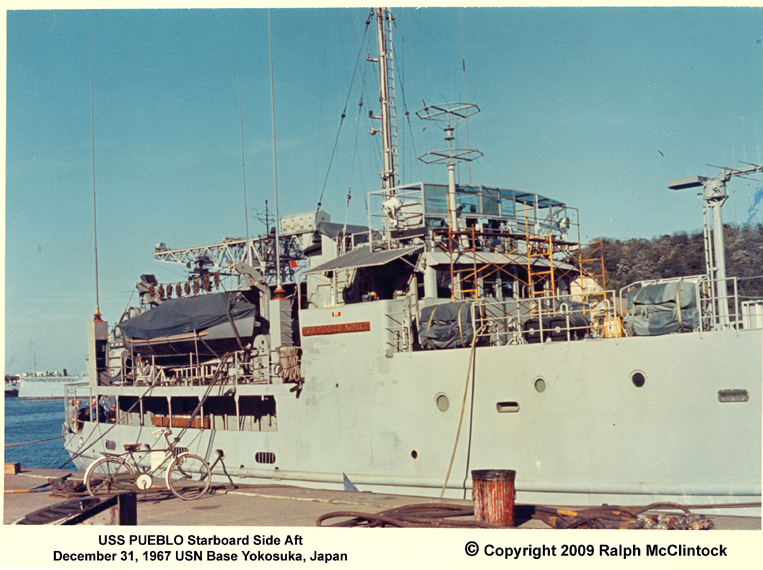 Captain Bucher, replete in a Santa Claus hat was up on the flying bridge yelling out through a megaphone to the multitude of Japanese boats jamming Tokyo Bay. "I have the Right of Way" he screamed. Finally, out into the Pacific ocean the weather conditions deteriorated as the ship turned due south. PUEBLO shuddered and groaned while trying to make any headway. Wind and sea now turned to the extreme. 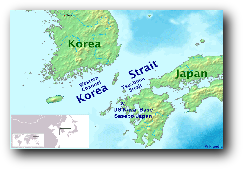 Fleet weather broadcasts from Guam were continually downgraded for the east coast of Japan. Weather finally forced PUEBLO for the safety of the ship to seek cover behind a Japanese coastal island. Constant pitching and crashing into the sea, combined with the extreme rolling tried the will of the crew. The forty degree mark on the inclinometer was recorded. 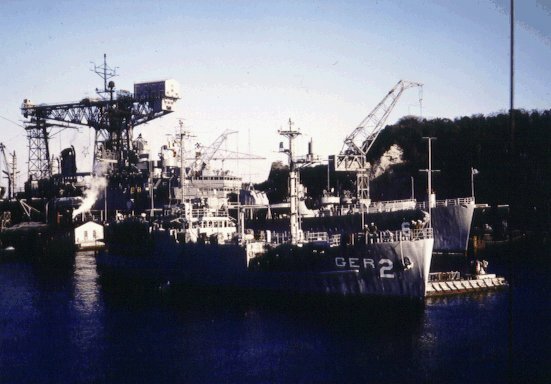 By the time PUEBLO made port in Sasebo after the three day voyage she showed damage to her exposed topside equipment as well as the SODHUT antennas. Japanese yard workers formed repair parties and swarmed over the ship. 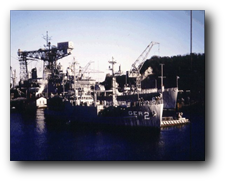 Editor's note: When the crew was given a chance for liberty one night in Sasebo the enlisted men headed to the many bars just outside the base's main gate. One man, asked by a bar girl where PUEBLO was going, replied he did not know. "Ha," the girl exclaimed. She was kind enough to inform him - "You go North Korea!" So much for secrecy. PUEBLO was hammered by a new winter storm and had trouble making headway. After the refit and addition of the SOD HUT the ship was technically top heavy. Topside icing could present an extremely dangerous situation to the ship. PUEBLO took a number of dangerous rolls while attempting to tack. Thirty degrees, forty degrees the inclinometer ticked away. Continually icing topside along with the low wind driven temperatures forced the crew to work in shifts. Each time a man came in from chipping ice he was offered a medicinal brandy from Corpman Baldridge's supply. Finally free of the Tsushima Strait and the storms PUEBLO moved to the northern part of its first Operational Area, Pluto. Between 41 and 42 north latitude, the weather continued cold with ice still forming on the deck, superstructure and antennas. It had to be cleared. Mallets in hand, out went the crew, again. Finally one sunny afternoon while in Op area Pluto, the tarps were taken off the .50 caliber machine gun mounted on the forward starboard rail. Gunnery practice commenced. The bobbing target, a 55 gallon oil drum, about 20 yards off the bow. It was never hit. The northern half of this area was visually and electronically uneventful except for the siting of a number of Japanese and Russian freighters. Only the oceanographers using their Nansen casts obtained original data, water temperatures and salinities. PUEBLO moved south to the area off Song-Gin still in Pluto. The ship moved south again, to Op Area Venus between 40 and 41 north latitude; same result. Again, ice and no electronic intelligence; only water samples and temperature readings. So, PUEBLO again moved south into Op Area Mars between 39 and 40 north latitude eventually to lie to off the island of Myang Do (Yo Do) outside the North Korean port of Wonsan. 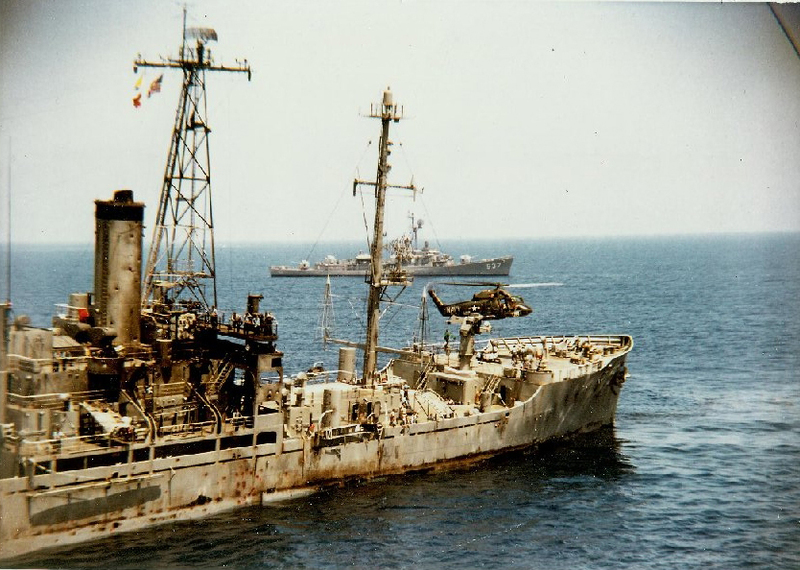 USS LIBERTY AGTR5 - after the Israeli attack! 1. 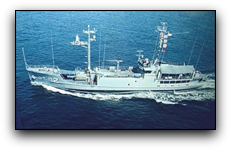 All of the USS Banner missions were risk tasked as minimal. If they were tasked anything but minimal, the missions would have been denied during the monthly US Intelligence missions review.